THE Mary River peaked at Gympie at 19.45 metres about 3am this morning but since then there has been substantial rainfall in the rivers upper reaches which is expected to hold the river at a major flood height for some time to come. The river had dropped slowly this morning but some river watchers expect the river may rise again slowly before finally dropping over the next few days. Police continue to urge residents not to go into flood waters in the area as there is no way to judge what is hidden underneath. 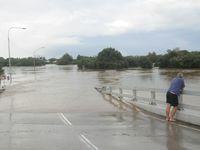 Acting Superintendent Ron Van Saane said roads north, south, east and west are still closed off from Gympie and he urged residents not to drive through the flooded roads. “Please don’t try and attempt to cross the roads as you can’t see what is hidden beneath,” he said. 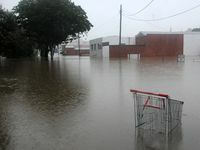 Flood waters in Gympie peaked at 19.45m this morning and businesses have been further inundated with water. “Businesses have had relative minor property loss as they had well planned evacuations,” Acting Superintendent Van Saame said. There was considerable rainfall and flash flooding in the South Burnett area over night effecting Nanango and Kingaroy. 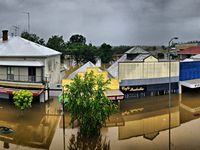 “Five houses and four businesses were inundated with flood waters at Nanango overnight,” Superintendent Van Saame said. 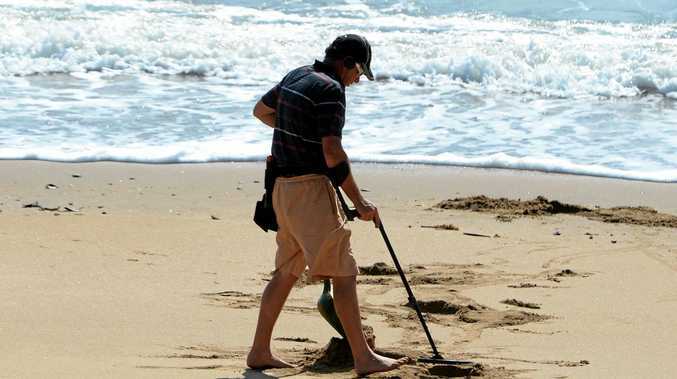 “Police and SES attended and assisted with people who had elected to self-evacuate. The immediate risk is reducing as the water levels fall. 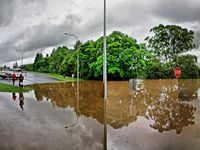 “Kingaroy also experienced flash flooding and heavy rainfall on the southern side of the township about 24 kilometres away from the centre of town. Cherbourg is still isolated by flood waters from the Barambah Creek. The local government and Emergency Management are making sure residents have food and water. Supplies should be airlifted in the next 24-hours. Gympie Regional Council Local Disaster Management Group held a meeting this morning and reported that the emergency response and coordination of emergency services activity is proceeding well and according to plan. Though the Mary River had peaked, rainfall has been received in surrounding catchments, so the situation is being monitored closely. Currently 20 homes and 150-160 businesses have been evacuated. 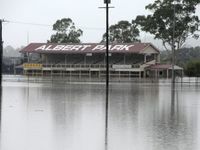 Residents and businesses in Woolooga, Kilkivan and Goomeri have experienced some inundation from flash flooding and water rises. 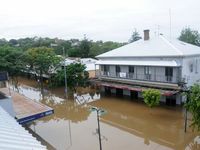 Gympie Regional Council Acting Mayor and Acting Chairman of the Disaster Management Group, Cr Tony Perrett reinforced that council is aware that all areas of the region have been impacted including coastal areas of Rainbow Beach, Tin Can Bay and Cooloola Coast. Energex have flown in staff to assist with operations in the region and are monitoring the situation in relation to power supplies in the Gympie city and outlying centres. Evacuation centres have been established at the Gympie Civic Centre and the Gympie Showgrounds on Gympie’s Southside. Residents of Mary Valley townships connected to Council mains water supplies are reminded to conserve water wherever possible for household use and personal consumption. If you require assistance during a flood please contact the SES Flood Storm Emergency line on 132 500. Residents who wish to report unsafe road conditions are asked to phone Council on 1300 307 800. Queensland Government’s Traffic and Travel Information line 13 19 40.